Summers can be too harsh on the skin. Dehydration and sun exposure can harm your skin. Vitamin C helps protect the skin from sun's rays. It can help you maintain healthier and fairer skin. Now that summer is here, your biggest concern must have something to do with your skin. You may be worried about losing the glow from your skin, but you needn't be because you have vitamin C to protect your skin from the scorching sun. According to nutritionists as well as skin experts, vitamin C has antioxidant properties that can help counter any free radical damage. In addition, it is the most important ingredient used in skin care treatments. Here is how vitamin C will save your skin this summer. The antioxidants in vitamin C protect the skin from ultraviolet radiation and helps reduce sunburns caused by exposure to sun's harmful rays. Vitamin C is essential for the production of hydroxyproline and hydroxylysine, which are required to bind molecules responsible for production of collagen. Collagen not only rejuvenates the skin from roots and makes it firm but it also reduces wrinkles and symptoms of ageing. However, deficiency of collagen makes your skin look dull and lifeless. Our body uses vitamin C to replace damaged tissues and this helps in healing wounds faster. 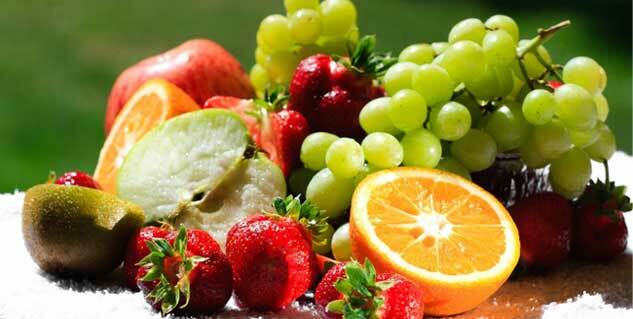 Vitamin C also improves elasticity of skin and helps to create scar tissues and ligaments to promote quick recovery. Vitamin C can effectively protect your DNA from photochemical reactions that may cause tumour, skin discolouration and several kinds of skin cancers. It helps in lightening dark discoloration such as freckles and age spots to give you younger and smoother skin. Collagen is also known to provide structure to blood vessels. These tiny blood vessels under the skin carry oxygen and nutrients to keep skin healthy and glowing. You will find a number of products from the market that contain vitamin C and can help you improve appearance and texture of your skin. It also increases formation of elastin which thickens, protects and heals skin cells.